We use a state of the art computer cut tinting system that insures an installers blade never comes in contact with your car. This reduces the chances of damage to your car and guarantees accuracy. Computer cutting the tint allows for some amazing creations for those who want a custom appearance for their vehicle. We were the first in Indianapolis to use a computerized cutting system (beginning in 2002) for all our installs and continue to use it daily. 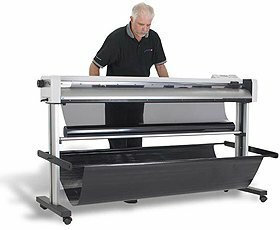 We currently own two plotting devices that accurately cut all tinting, clearbra paint protection film, and all graphics. 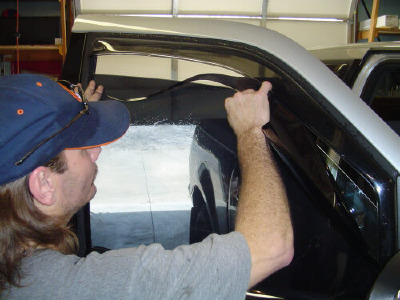 By using this type of system we cannot only tint cars faster, and more accurately, but we have the ability to do custom work too. 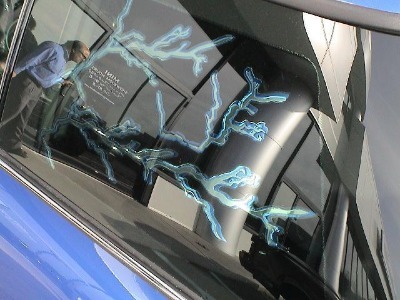 The computer allows us to layer window tint in a way that can become almost artistic in nature. 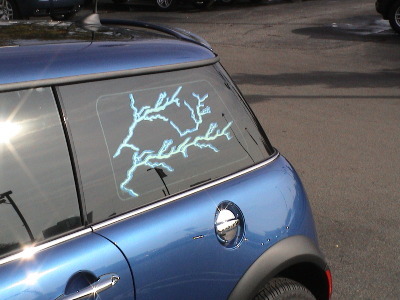 Some people want designs in their tinting. Others want something abstract added to the film. What was once impossible or extremely expensive, is now affordable and very do-able. Results like these and more are now very possible for you! Still others want to let the world know what they drive. We can add logos, numbers, letters, pictures too. You name it, we can do it. 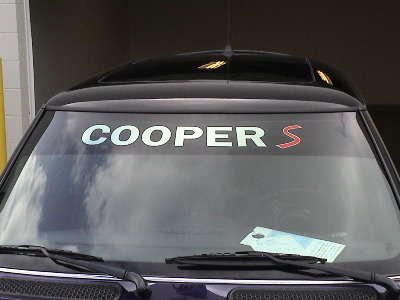 Windshield banners - a.k.a. 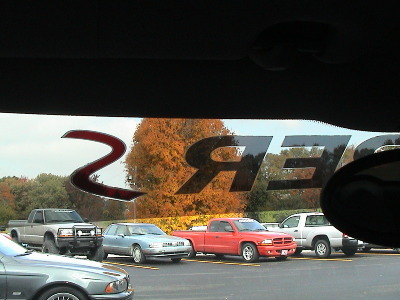 "eyebrows" or "visor strips" can be customized to say literally anything you want, giving your car that "one of a kind" uniqueness that is so popular today. In any event, we can make it happen with our incredible computerized tinting system. Basically, we are only limited by your imagination. 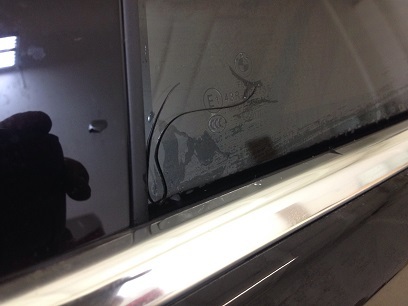 One of our fellow window film professionals in California uses the same system we have. Check our his website Here and see how amazing designs can be done with tint! We are also very capable of reproducing custom work like this for you... for a price. Hand cutting - bad? Not necessarily. 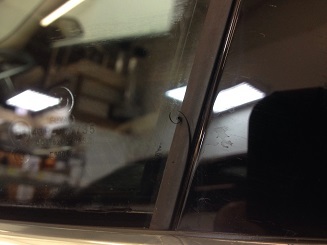 Oh yes, we used to hand cut our window tinting patterns on the vehicle. Sometimes we still need to do it that way on occasion - like when the power or internet goes out. That is rare. Many installers still cut by hand in many shops in Indy. But we prefer the accuracy of the computer over hand cutting. Hand cutting also became tedious and slow. Most shops that cut by hand do decent work, and they work hard at it. But, DT Services Window Tinting has made a financial commitment to our clients with our computer cut tinting equipment in order to do installs better than anyone else. Our investment in computerized cutting software and hardware is our promise to you for a great job every time.